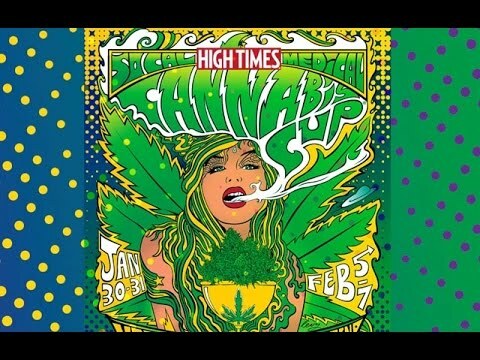 For nearly three decades, The High Times Cannabis Cup has been the world’s leading marijuana trade show and the ultimate cannabis experience. The super heady event includes cannabis competitions, concerts, product showcases, celebrity appearances, expositions, and instructional seminars. Cannabis Cups are hosted in states that have legalized medical and recreational marijuana and the event continues to promote the political legitimacy and legalization of marijuana. This year, the SoCal Medical Cannabis Cup was held over two weeks in San Bernardino at the National Orange Show Events Center. Thousands of people packed out the event to see live music, attend seminars, participate on panels, and demo the products of about 500 vendors. On the opening day, a panel of former NFL players discussed “How Cannabis Will Save the NFL,” their thoughts on accepted cannabis treatment in the NFL. Then, despite the cold and rainy, De La Soul played to open the weekend and The Roots crushed it with a closing performance. Week two of the event featured performances by Wiz Khalifa, Redman, Method Man, and Ghostface Killah and finally the awards for the best pot, hash, and edibles in Southern California. Upcoming Cannabis Cups will be held in Denver in April 2016; Portland; Nor-Cal; Clio, Michigan; and Negril, Jamaica. Without further a due, the big winners of The High Times SoCal Medical Cannabis Club are as follows. 1st Place – Krypted Inc. Medicated E-Juice by Krypted Inc.
Congratulations to all the 2016 SoCal Cannabis Cup winners! Have you tried any of the winning products? Share your opinion/experience with us on social media or in the comments section below. We can’t wait to hear from you!